Daffodils are the highlight of the April garden, though some earlier narcissus are often welcome and the last narcissus will flower in May. We suggest you plant them in distinct groups and not randomly – the effect is generally better. 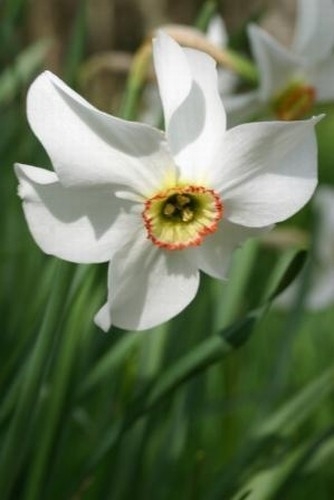 Most narcissi should clump up from being planted about 4" (10cm) apart, further apart for more ''relaxed'' planting. The flowering month should be used as a guide only – seasonal variation can be great! 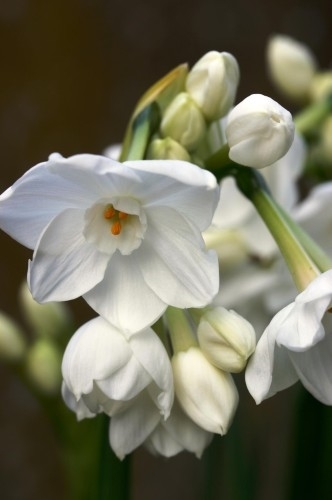 Do not be tempted to cut back or tidy the foliage after flowering – this period of replenishment of the bulb’s starchy food reserves is critical to future flowering. A liquid feed while starchy leaves are still green will benefit clumps in poorer soil. I would suggest you plant bigger groups (and particularly any you ‘naturalise’) in distinct groups and not randomly – the effect is generally better. 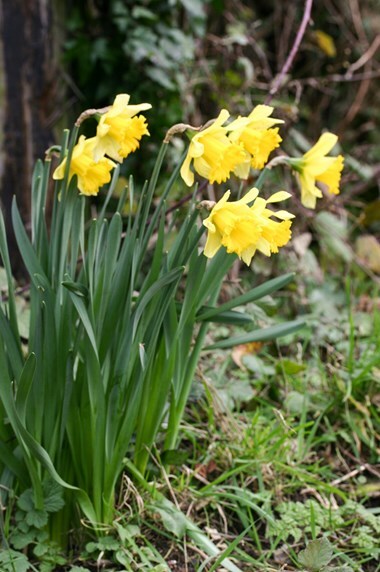 Most narcissi should clump up from being planted about 4” (10cm) apart, further apart for more ‘relaxed’ planting.